Tag Archives for " Ash Maurya "
When building a marketing plan for a client we often start with things like core message and ideal client. While these are certainly core elements of any effective marketing strategy, the place we should start is with metrics. Understanding what you plan to measure and how you plan to collect the necessary data is often left to last if it’s given any thought at all. This, as much as any other business dynamic, is what leads to chasing your tail from one idea to the next. When you lock down your goals, objectives, and priorities and make measurement a fundamental activity, you start a far greater chance of reaching your goals. The key, of course, is to figure out what actually matters when you try to create your core set of metrics. 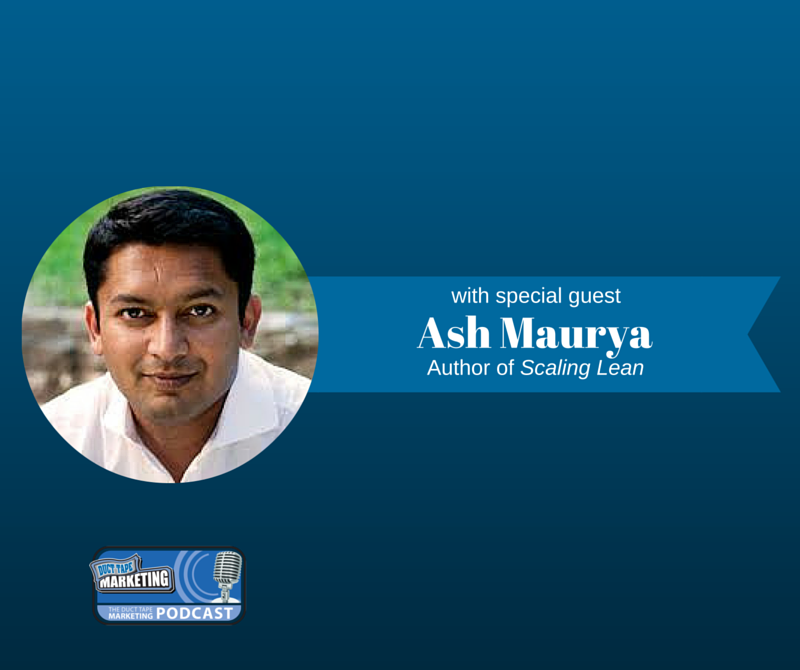 My guest for this week’s episode of the Duct Tape Marketing Podcast is Ash Maurya, CEO & Founder of Lean Stack and author of the newly released book Scaling Lean: Mastering the Key Metrics for Startup Growth. We talk about “measuring what matters” and the essential metrics applicable to any small business. Having been an entrepreneur for more than a decade, Ash knows all about building successful businesses. How does your “startup” book wedge its way into a crowded field? What do you say to a business owner whose one metric is revenue? When you mention and describe “new business models,” are there any new ones? How to build the connection between a great idea and a great execution. How “removing waste” can help you build the products that people want. The 5 essential metrics needed to acquire customers and increase revenue. Learn more about Ash Maurya and Lean Stack, a collection of tools, content and coaching resources used by thousands of entrepreneurs, universities and organizations. Click here to find out more about his book Scaling Lean: Mastering the Key Metrics for Startup Growth. This week’s episode of the Duct Tape Marketing Podcast is brought to you by our friends at Hover. Do you need a great domain name for your great business idea? Hover makes this quick and easy. Go to hover.com and use the promo code AshDTM for 10% off of your first purchase.